Allwell Solutions will facilitate publishing for web and mobile. Our Arabic eBooks will work in digital reader and eReader applications for iPhone, iPad, Blackberry and Android, Kindle or any other eReading device. We promoting the creation of Arabic content and also enhance the social experience of reading Arabic digital ebooks. We also providing Arabic Mobile apps to allowing users to connect on online profiles, create fan pages and book discussion groups, and share their recommendations via social networks like Facebook and Twitter. Authors looking to digitize or self-publish Arabic books online or distribute Arabic publications on web and mobile now have it easier. Allwell launched a bilingual cloud reading platform that will help users convert, publish, distribute, and consume content online. “What we have built is a full A-Z solution that takes the headache and high cost out of digitizing books, publishing them online and distributing them on the web and to mobiles. We have focused specifically on resolving problems of right-to-left language readers and conversion to enhanced eBooks. One of the key challenges faced by Arabic language publishers for creation of eBooks is that most of the Arabic books available are in True Type Font (TTF) and Image PDF format. Allwell Solutions has developed efficient workflows to convert Arabic books into required eBook formats from print or electronic media. 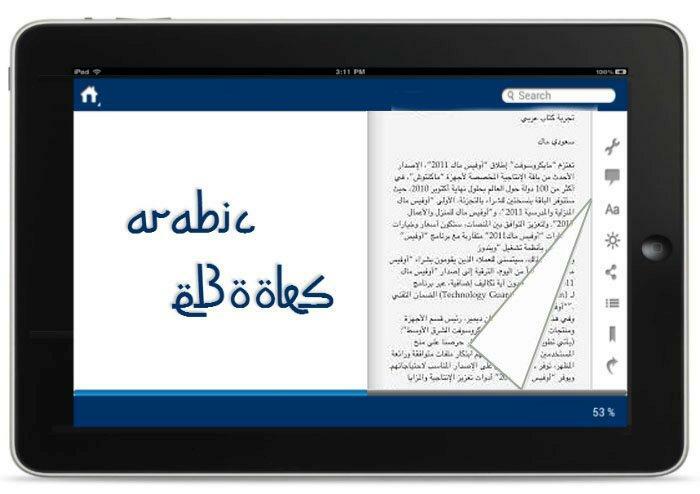 We have successfully delivered Arabic books in ePUB2 and ePUB3 standards. Our team of Arabic experts ensures that the eBooks are error free and meet our quality standards. We are also engaged in producing Arabic talking books using the DAISY standards and natural voice text-to-speech engines (TTS).